Received items v fast.. Haven try to use..
received in a good condition, thanks! Super quick delivery. Q gd feel to product. Delivery is ok, will be good to help my child hold and write propoerly. Fast delivery. Look mice. Yet to try on my boy. I chose singpost mail. But when I check out the system shows $4.50. Please advise. Hi are the pencil grips suitable for left handers? Apparently my order was shipped out more than a week ago but till date I have not received it and the seller has not replied to my qn on the status of my item. Dear Customer, there could be some delay on SingPost end. please give it a few more days. Hi, I have not received my order but was notified that the seller has changed the order status to delivered. Pls note that I have not received my order. 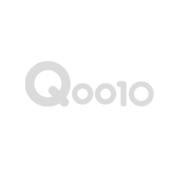 Dear Customer, the confirmation is done automatically by Qoo10. Please rest assure that your items has been sent out. My Hp is 97653530. If you still don’t receive your items by next week, please contact me at this number, regards,Jacqueline the seller of THINGSweLOVE. Hello, I still have not received my item.